Jobsgate: Is the White House in Jeopardy? A new chapter in Chicago political thuggery is about to unfold. 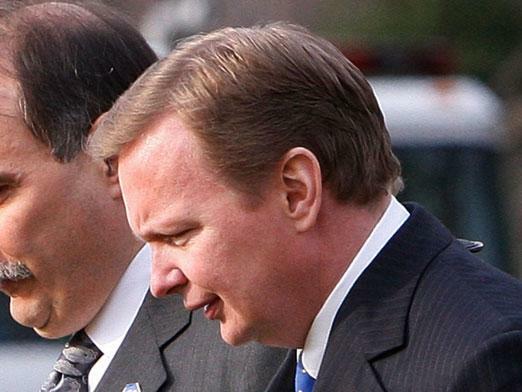 Jim Messina, Deputy White House Chief of Staff is at the center of a vortex of charges of crimes and coverup at the White House. Gathering of Eagles’ Laptops for Wounded Warriors program was at Walter Reed Army Medical Center on Friday distributing six laptops to our wounded Iraq and Afghanistan veterans! George Samek, Vietnam Veteran and founder of the laptop program, shares a moment with Nicholas, one of the recipients. It was a great honor to present the laptops to our brave Wounded Warriors, as a Vietnam Vet I feel we who have seen combat have a duty to pay forward to those who now serve. The Gathering of Eagles Has presented 53 laptops and we will continue as donations are received. Thank you for your service Nicholas, Welcome Home Brother. Family and GOE members converse as Fred Peterson explains the use of the Dragon Speak software that accompanies every laptop. Thank you, Nicholas, for your service! And a big ‘Well Done’ to George and all of the GOE Laptop crew who do an outstanding job of troop support! 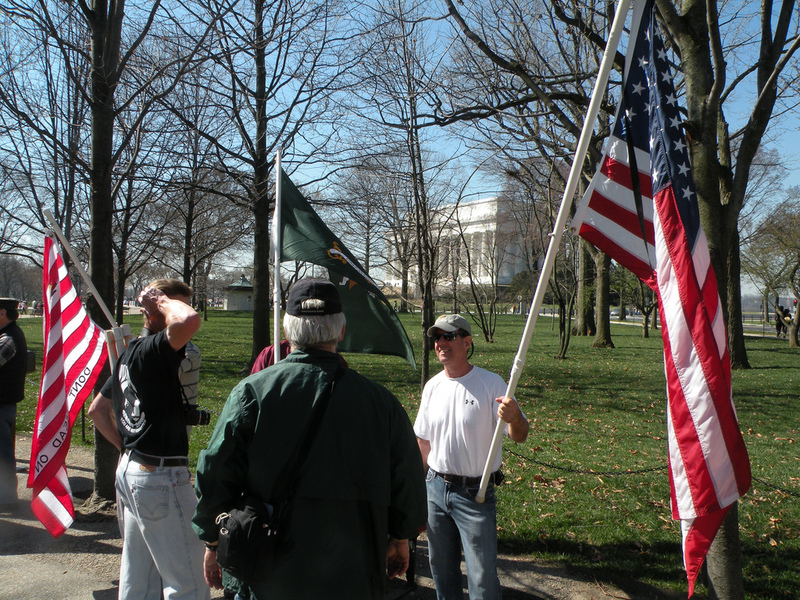 The anti-America marxists showed up in DC again on Saturday to protest the War and make general nuisances of themselves. The Silent Majority was there to cover the Eagles, the ‘fake’ Arlington the lefties erected and then the Code Red Tea Party rally and Medea Suzie Benjamin’s attempt to disrupt it!! This Ain’t hell also covered the GOE, the ‘fake’ Arlington and the Code Red Rally here and here! More Code Red Rally coverage here! Former U.S. Senator Gordon Humphrey (R-NH) gave a rousing speech to Rochester Tea Party Patriots slamming the Democrat Congress and Administration for their ‘Chicago Bum’ politics. We need this man back in Congress! Rochester will be hosting a Tax Day Tea Party again this year! Constitutional Attorney and Talk Show host, Mark Levin, calls for immediate expulsion of Louise Slaughter from Congress. One of our old IVAW opponents has mounted an attempt to infiltrate the Republican Party as a ‘libertarian’ Republican and win the nomination for Representative from New Mexico’s 3rd Congressional District. Adam Kokesh appears to have bamboozled Ron Paul and Judge Napolitano into believing his trumped up credentials. 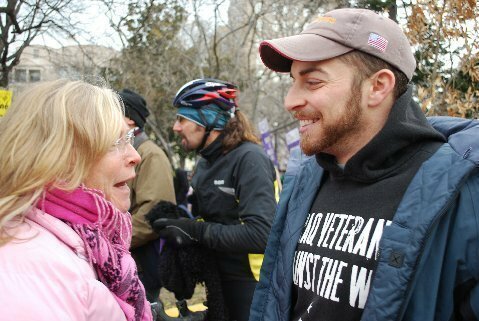 Here is Adam in his natural environment, conversing with Gael Murphy of Code Pink at a pro-Palestinian rally. Notice the pattern, here? Strong Sisters like Colonel Ann, Medea, Gael and Deserae, all of whom have traveled the worlds’ trouble spots, have time to motivate, encourage, and share with some of our best & brightest IVAW. We have known that this ex-Marine is a dirtbag for a very long time. Today Captain Larry Bailey the head of Gathering of Eagles, spoke about Kokesh on the G. Gordon Liddy radio show. Michelle Malkin has more here! This story is just too sorry a tale of government intrusion and obfuscation to allow to pass unnoticed. 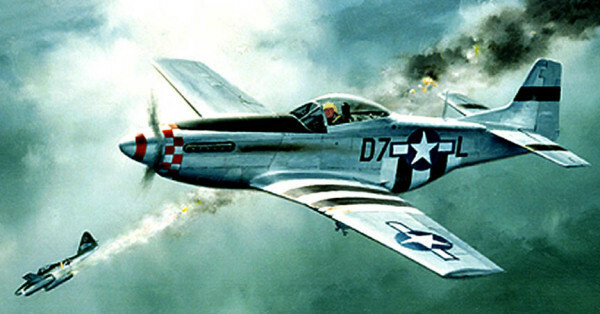 John Fitch, WWII pilot and American Hero, who is portrayed in this painting, was credited with shooting down a Messerschmidt ME-262 jet fighter in combat. He himself was shot down near the end of the war, earning a purple heart, and spent three months in a German POW camp. After the war he became a race car driver in Europe for Mercedes Benz. He developed the world famous Lyme Rock racetrack in Connecticut and, in his spare time, invented those sand filled plastic crash barriers that have become ubiquitous on America’s highways. Last year his wife passed away at the age of 91. John is now 92 and finding himself in the fight of his life, not with health issues, but with the government bureaucracy of his home state of Connecticut. All because he tried to do the right thing! Read the story of how John Fitch, because he meticulously monitored his home heating fuel use, is now a pariah in his town of Litchfield, caught up in the catch 22 of dealing with government agencies which have overwhelming power but not a shred of common sense. Here’s a video introduction, from last September, to John Fitch and his Fitch Phoenix which he built on a Chevrolet Corvair chasis and which became the model for the Corvette Stingray. 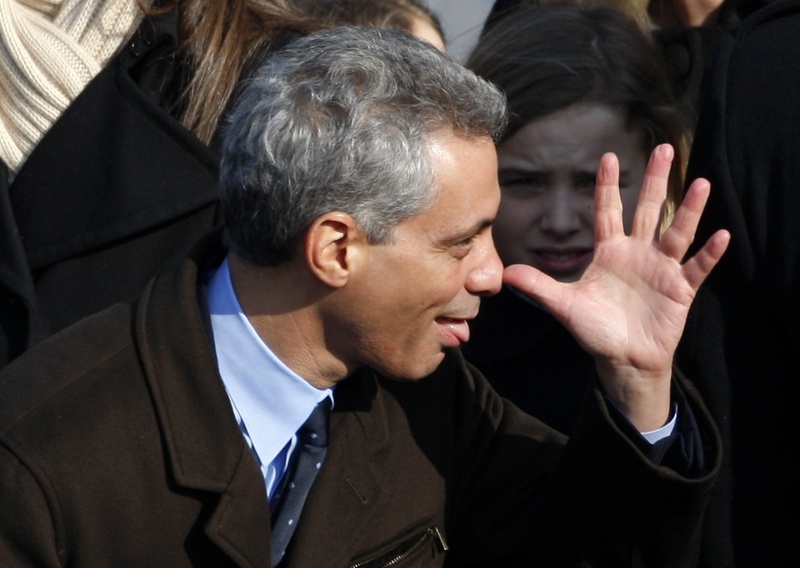 Massa claims that Rahm Emanuel played a major part in his political destruction. In and interview with Rochester WHAM TV, Eric Massa claims that he was set up for destruction because of his opposition to the healthcare bill that Barack Obama, Nancy Pelosi and Harry Reid are going to ramrod through congress. The audio of the interview was placed online here, but is currently unavailable. …that he’s the victim of a power play by Democratic leaders who want him out of Congress because he’s a “no” vote on health care reform. Massa is opposed to the healthcare plan not because it is wrong for America, but because it does not go far enough! He is an advocate of the public option and has said that he will vote in opposition to the best interests of his district in order to get that passed. He claimed that he received a call from Rahm Emanuel and that the two traded obscenities before all the allegations of homosexual harassment surfaced. WHAM-TV’s report is here. Politico has a story here. Real Clear Politics has the “devil’s spawn” audio here! More here at Gateway Pundit! We have to admit we love it when they eat their own. We have always heard that RAF pilots were a tough breed, but this account is nearly unbelievable! An RAF Flight Lieutenant, Ian Fortune, (was his middle name Good? ..ed.) 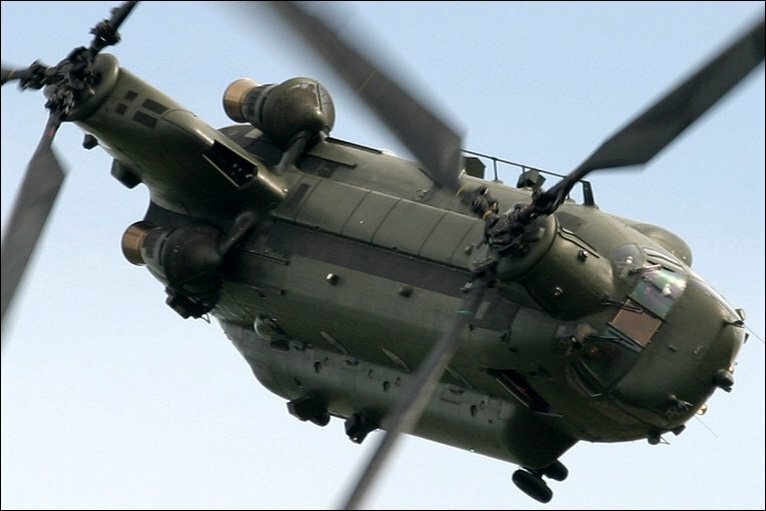 was shot between the eyes when his Chinook helicopter, similar to the one pictured above, came under heavy fire while he was lifting off on a casualty evacuation flight from a besieged base in Afghanistan. Bleeding profusely, he managed to maintain control over his damaged aircraft and pilot it and it’s cargo of wounded safely to a nearby base. Besides the casualties, the helicopter also carried British TV presenter Mike Brewer whose team was shooting footage in the war zone. Read more about the story here and here. Don Surber has more and another photo of Ian.